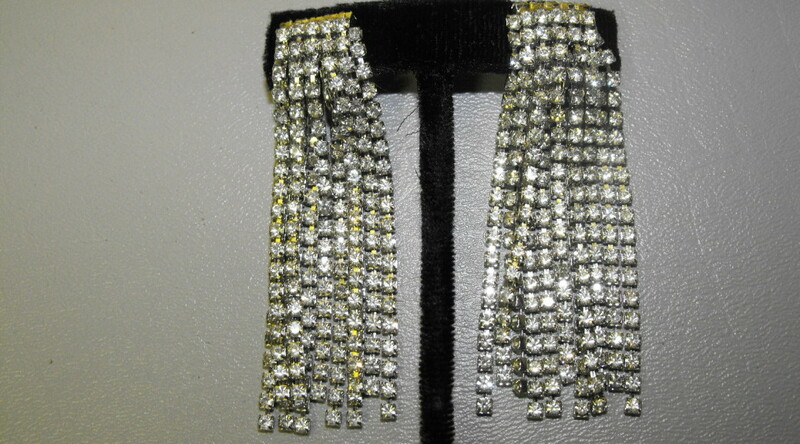 Great 1950″s original, vintage, clip on earrings. 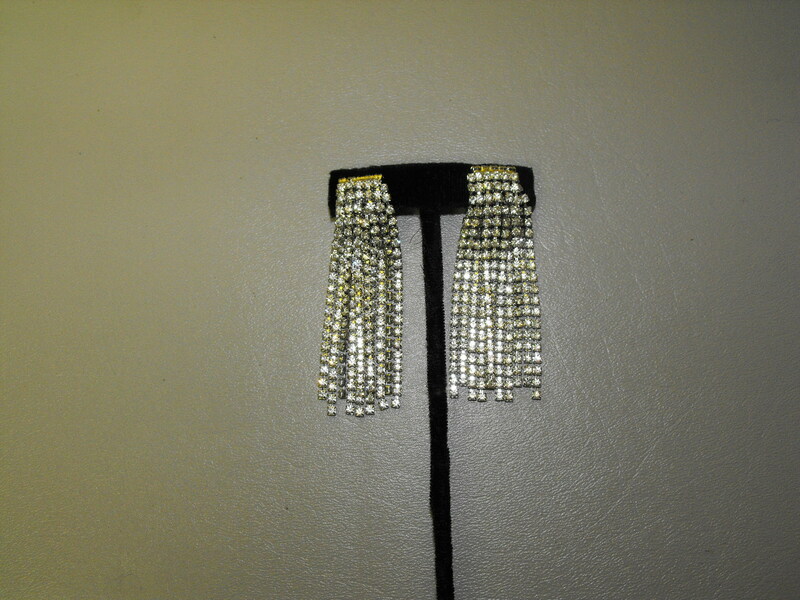 11 strands on each earring with Austrian White Rhinestones in a waterfall design. The earrings are not quite 3″ in length. 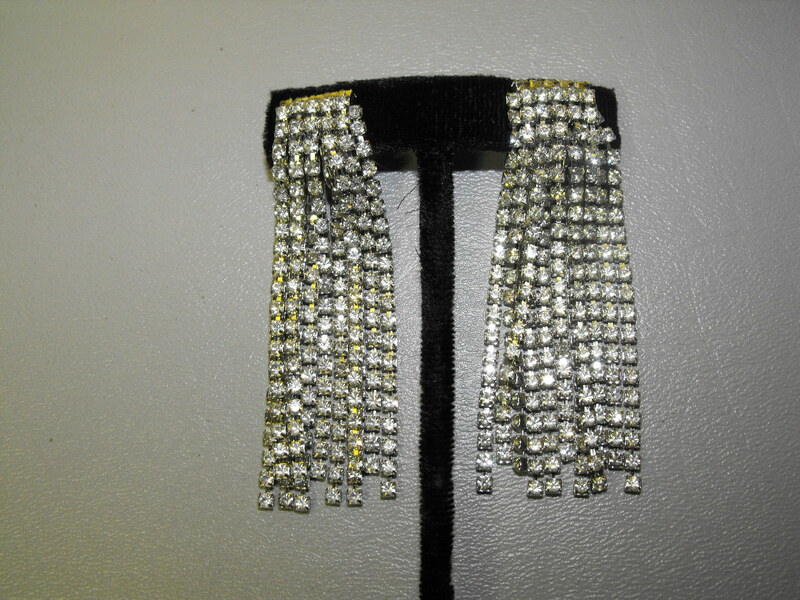 All Rhodium plated, these earrings are almost perfect with little or no signs of wear. 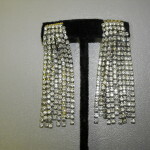 The “yellowish” tint you see in some of the rhinestones is from the camera flash and is not a defect in the stones. Each stone is individually prong set. It doesn’t get any better than this. 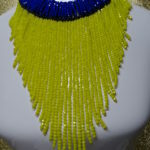 So make a sparkling Saturday night statement. First Time buyers receive up a 20% discount, please click HERE for details.